If you want to get your students to think about the world around them and understand that everyone in the world has the same rights, but not everyone actually gets those rights, this is the unit to do this. 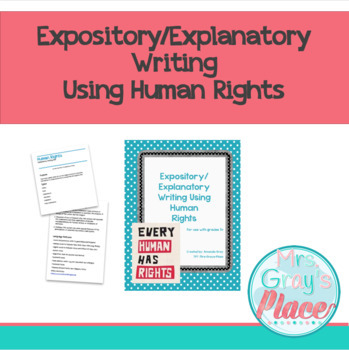 Using explanatory writing as the genre of writing, students learn about the Universal Declaration of Human Rights, while learning how to write different explanatory writing formats. This unit includes links to required media, a teach guide (with 21-day timeline) and a student book to get you started. The final assessment questions are also provided. Rubric/success criteria are to be developed with the class (I do not provide rubrics because of the differences in curriculum). 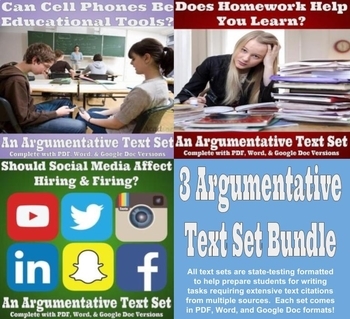 Three great argumentative text sets in one great discounted bundle! With an emphasis on preparing students for state testing and performance tasks that have become a norm in formats such as AIR and PARCC, all three of these argumentative text sets provide multiple sources (3 or 4 each) with a task formatted to be much like what your students will see on their real state assessments! Specific details about each included text set can be found on the bundle's specific product page. This interactive, self-checking PowerPoint game will provide motivating and engaging practice! The interactive game can be used by individuals, small groups and the whole class. A recording sheet and answer sheet are provided. 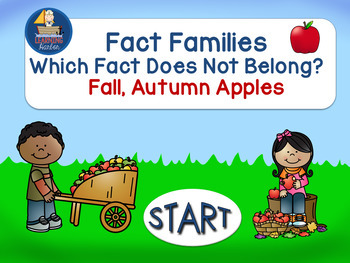 Students click on an object on the homepage and are taken to a random problem; they can play in teams and/or you can project the game onto an interactive whiteboard and your students will be able to use the scorecard slide by making tally marks for correct answers. Check it out - this is a product sure to engage your students! 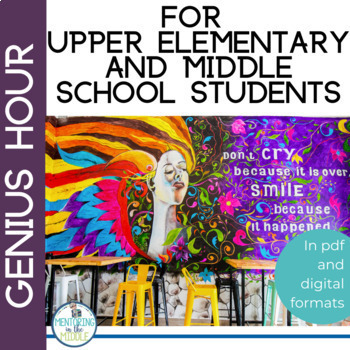 Genius Hour. Time is a wonderful way to engage students in research that they want to do! This guide will prepare you for the steps they need to take. It may not prepare you for the enthusiasm and engagement your students will have for researching one of their interests or passions. This packet includes how to get started, an essential question, how to start your research, graphic organizers, and a teacher guide with notes. This is a perfect tool to use when helping your students familiarize themselves with the hundreds chart, recognizing colors (pink, gray, blue, orange, yellow, green, black, purple, brown, and red), and recognize numbers 0-100. These pictures are a fun and engaging way to reinforce number sense. These can be used at any time during the day--just print and go! It includes 12 total designs (Pencil, School Bus, School House, Scissors, Apple, Books, Chalk Board 123, Chalk Board AB, Clock, Crayons, Glue, and Lunchbox), 2 versions of the hundreds charts to color for each design: Numbered and Blank (students can fill in the blank chart on their own and then color), which is perfect for differentiation, as well as an answer key (mystery picture) for each.